Pilot Hole Bit Service was set up to supply drill bits for those engaged in horizontal or directional drilling. According to a write-up on the Exploration Drilling Production (EDP) Solutions website, horizontal or directional drilling is when the path of the oil well is deliberately shifted from the vertical. This is usually done when there's a need to avoid the surface site. For this purpose, Pilot Hole Bit Service supplies top grade Tri-Cone drill bits. This type of drill bit was developed sometime in the early 1930s. Its versatility has stood the test of time. It remains one of the most popular bits in use. 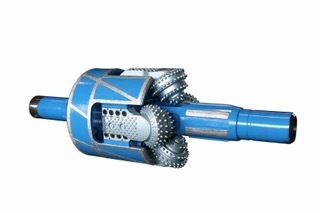 Pilot Hole Bit Service also supplies polycrystalline diamond compact (PDC) drill bits. They boast of synthetic diamonds attached to their carbide inserts. Pilot Hole Bit Service ensures its customers that each and every drill bit has passed its strict quality control checks. The company makes sure that its customers get what they pay for. 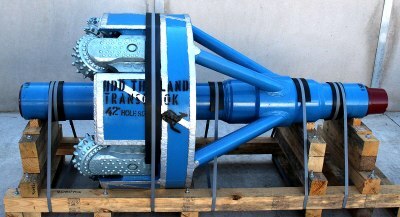 Pilot Hole Bit Service now is the distributor for TRANSCO Manufacturing - Australia. They manufacture reamers for the HDD industry. They are a premier manufacturer and supplier throught the world and are now represented buy Pilot Hole Bit Service. This reamers performance is second to none. It is quickly receiving great reviews for its unique rugged design and dependable performance. No other Reamer maker manufacturers under the strict guidelines of API Spec Q1 Registered, ISO 9001:2008, and 7-1-1081. NO OTHER manufacturer. Let us give you a quote on you next HDD project. For inquiries and requests for additional information, customers may call (337) 446-3230. They may also send emails to jim@pilotholebit.com. Pilot Hole Bit Service is also on Facebook.